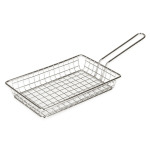 The American Metalcraft MRECBSKT rectangular fry basket has a grid bottom that prevents small items from falling out. The stainless steel basket is strong and durable, and resists bending. 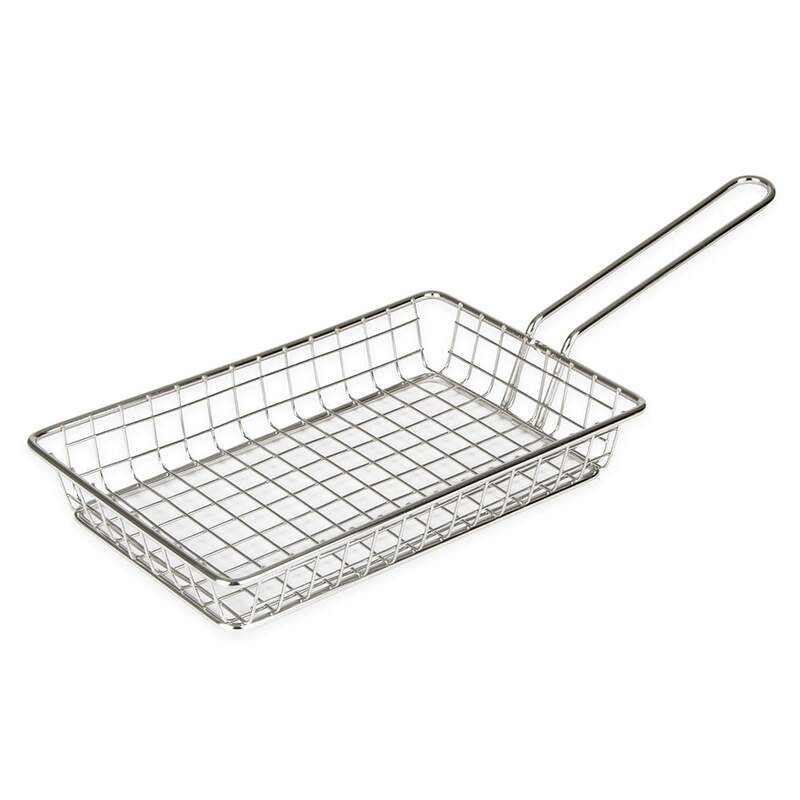 With its rectangular shape, this American Metalcraft MRECBSKT fry basket is large enough for serving appetizers, main courses, and bar snacks. Its 4-inch handle provides servers a way to deliver the basket without touching food. "We saw these on a cruise and loved them! So we ordered a set (8) for our camper! Easy clean up and less trash! can't wait to use them"
Best Idea Ever for Camping!